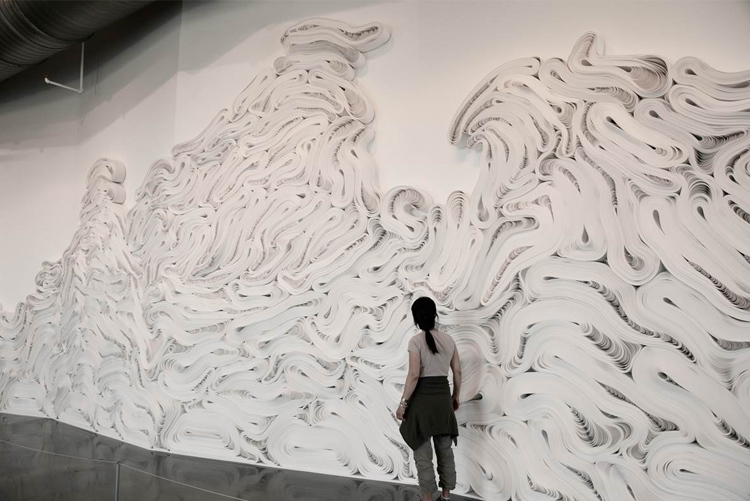 Installation view of Jae Ko’s Shiro at Grounds For Sculpture, NJ. 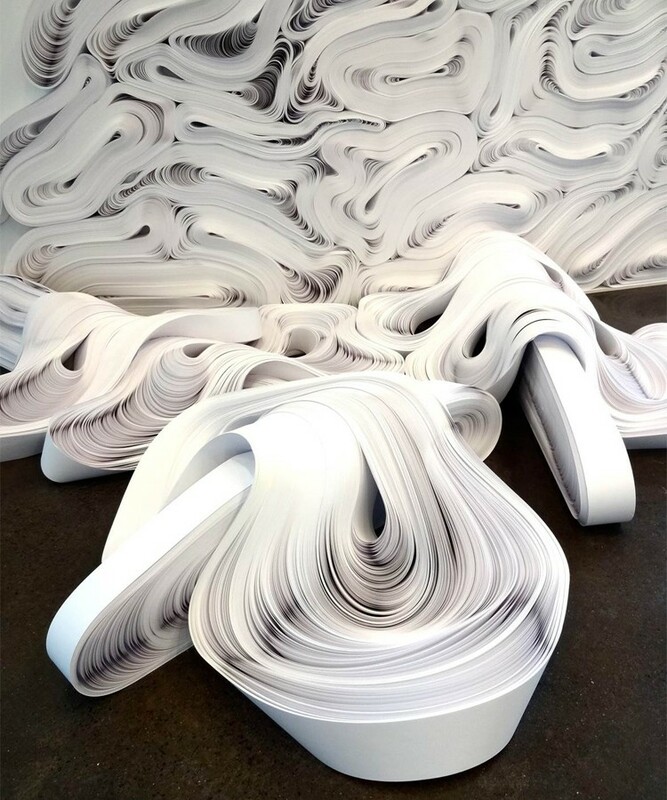 Contemporary artist Jae Ko, whose work is currently on display in Intersections @ 5, opened an installation at Grounds For Sculpture in New Jersey earlier this year. 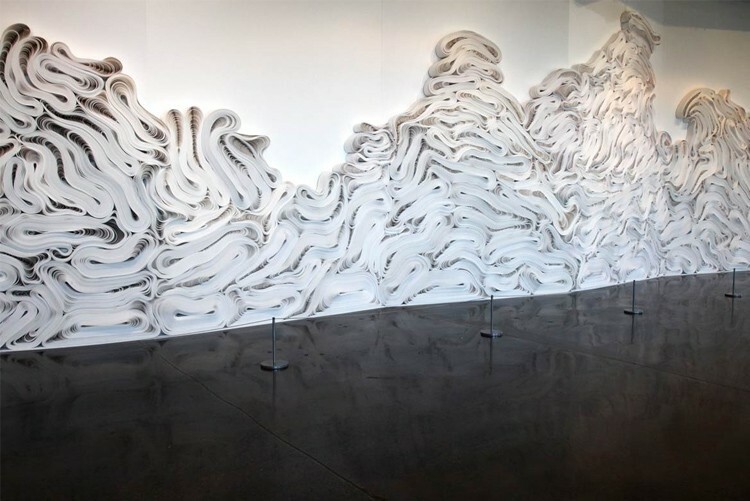 The works are reminiscent of her original 2010 Intersections contemporary art project for the Phillips, Force of Nature. 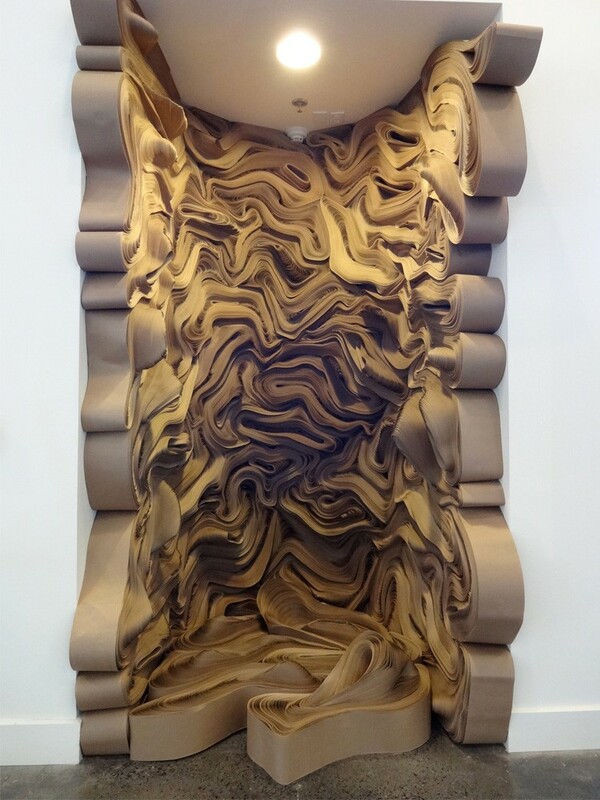 Both installations primarily use Kraft paper, but Ko responds specifically to the site in color and formation of the rolls. 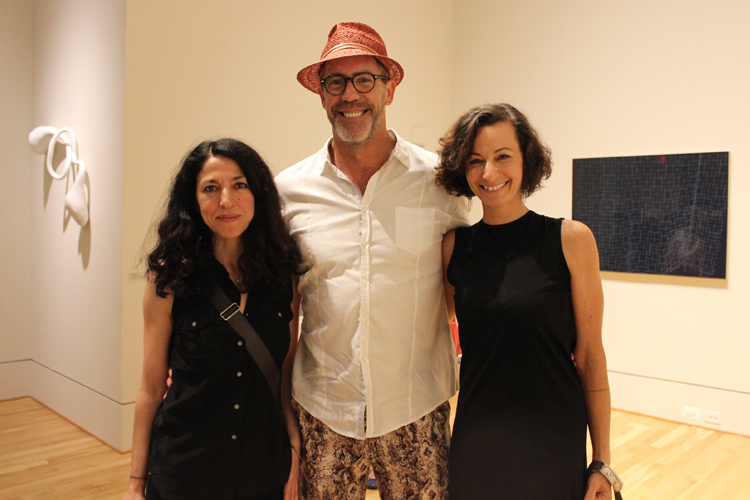 Several Intersections artists were able to attend the opening. 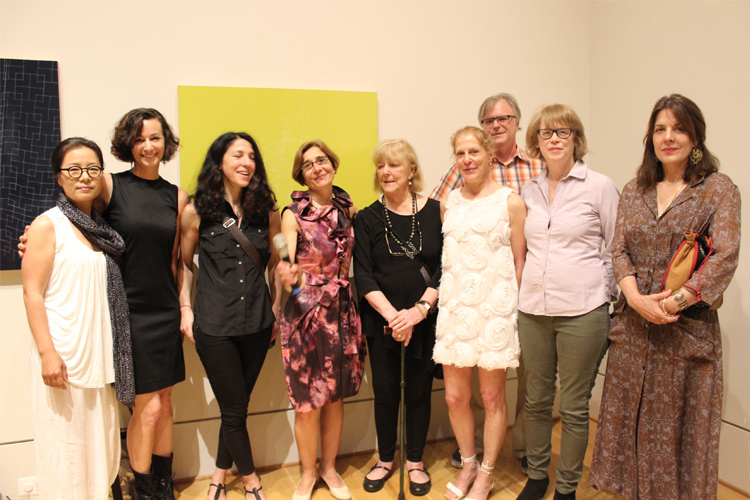 L to R: Jae Ko, Linn Meyers, Annabel Daou, Vesela Sretenovic (curator), Jean Meisel, Bernhard Hildebrandt, Barbara Liotta, Jeanne Silverthorne, Tayo Heuser. 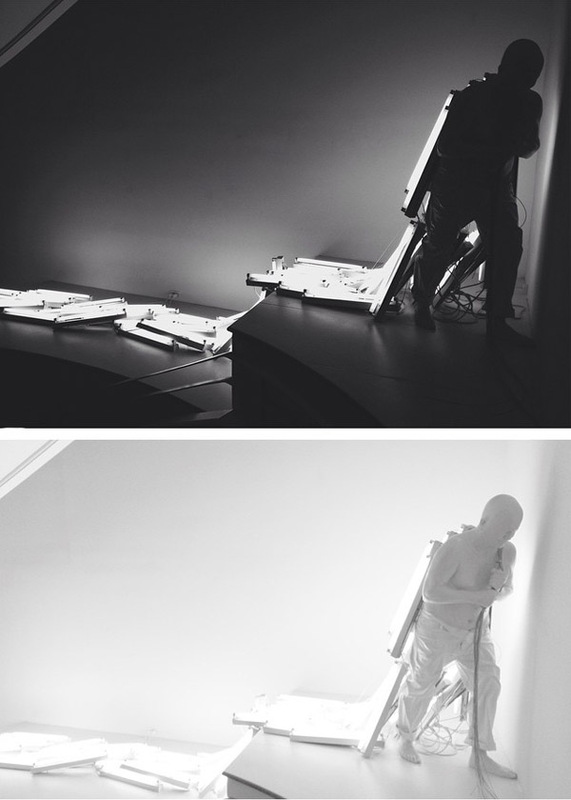 Last week, eight of the 21 artists featured in Intersections@5 were at the museum for the exhibition opening. Check out photos from the event! Artists and guests at the opening of Intersections@5. 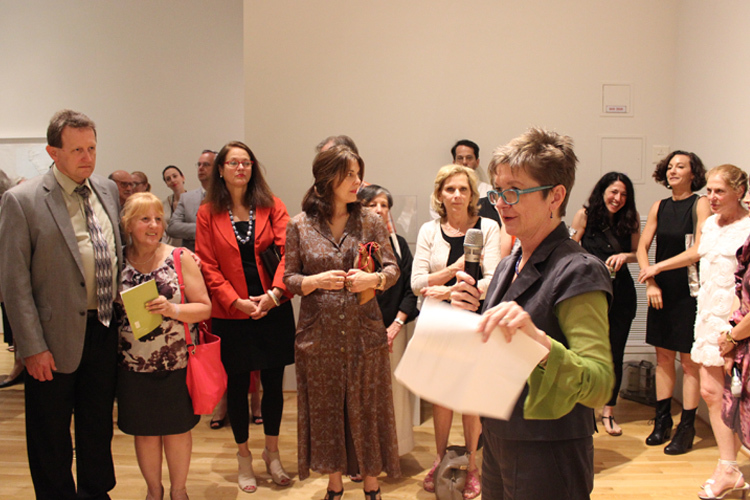 Phillips Director Dorothy Kosinski at the opening of Intersections@5. Artists and guests enjoying the opening of Intersections@5. 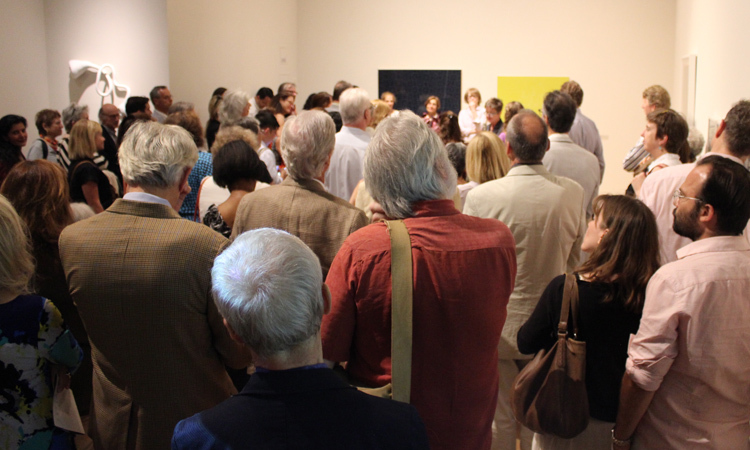 A great turnout for the opening! 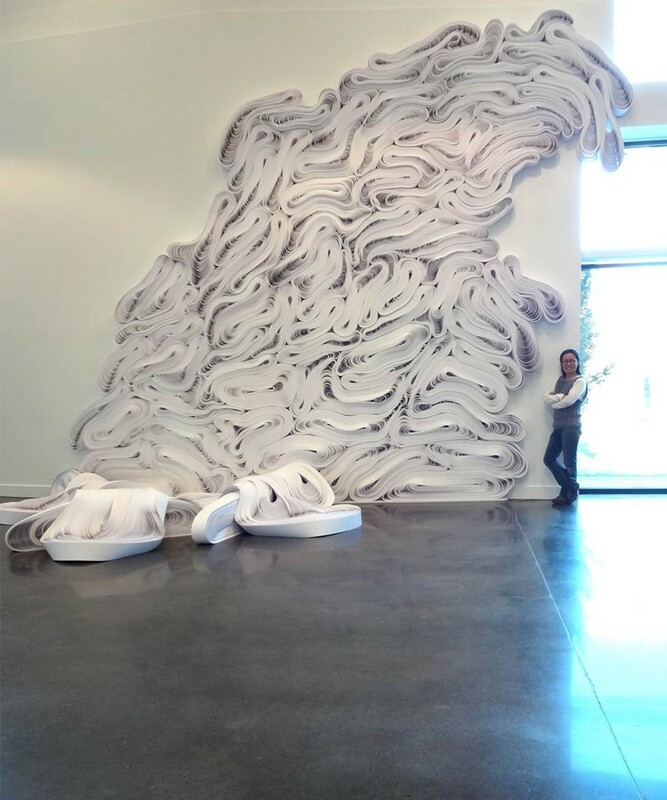 (Left) Jennifer Wen Ma’s Brain Storm, 2009 (Right) Installation view of Allan de Souza’s work. Artists and guests at the Intersections@5 opening. 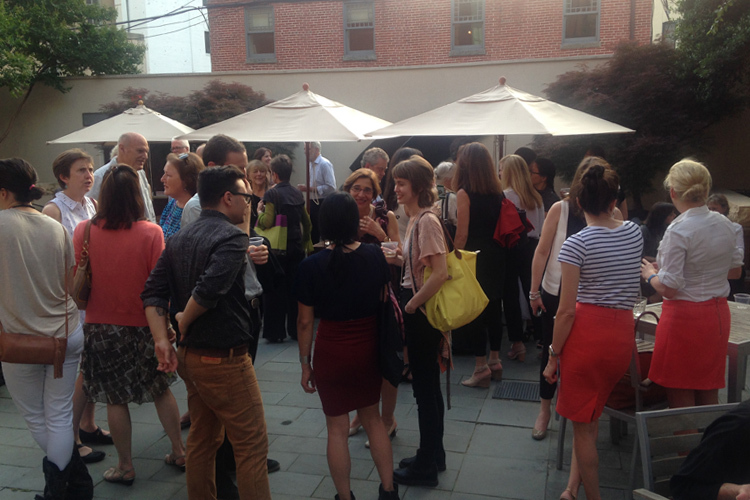 A full courtyard at the Intersections@5 reception.